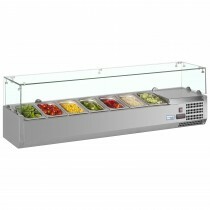 Topping shelves give easy access to different food quickly in the professional commercial kitchen when preparing food. 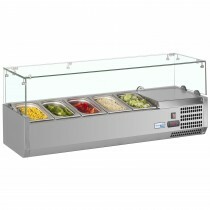 Great for sandwich shops, pizza restaurants and many other food environments. There are several choices for length and gastronorm pan size.